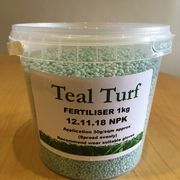 Teal Turf Production collection point will be advised after receipt of your order. Premium grade Sterling turf is developed from the best lawn seed cultivars of dwarf ryegrass, fescues and bents. 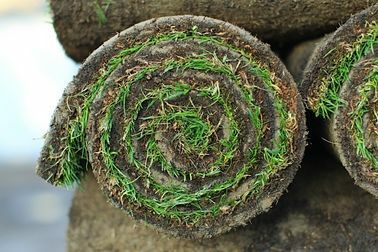 This combines the durability and ease of maintenance of the dwarf ryegrass along with the fescues and bent grasses that give fineness, density and good colour. Harvested in 1 sq metre rolls (1.6m long x 0.610 m wide) making it quick and easy to lay. 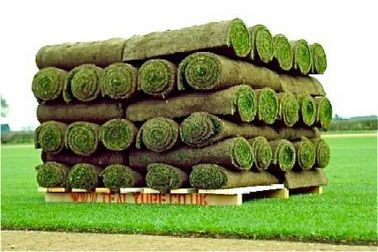 It is an excellent turf for domestic lawns, landscaping and golf tees. 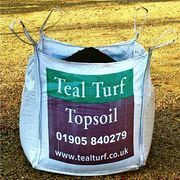 Deliveries of TURF and TOP SOIL products will be made on Tuesdays to Fridays Only. 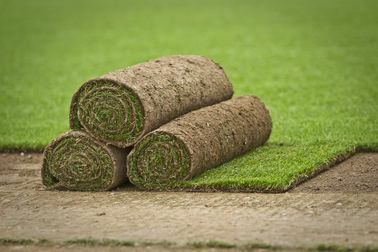 Teal Turf will not be liable for any loss or damage whatever (whether direct or consequential) due to failure by Teal Turf to deliver the goods (or any of them) promptly or at all whether such failure is caused by our negligence or otherwise howsoever. Where Teal Turf intend to deliver the Goods by full load but You request delivery by installments, Teal Turf reserve the right to levy additional charges in respect of such deliveries. You shall inspect the Goods at the time and place of unloading and ascertain that they are in accordance with the Contract. Teal Turf accepts no liability for the defects in the Goods if they are not used within 24 hours of delivery. You must give Teal Turf notice within 24 hours of short delivery, otherwise the Goods will be deemed to have been delivered in the quantity shown in the delivery documents and You will be deemed to have accepted the Goods. Teal Turf's liability for short delivery is limited to making good the shortage and You shall not be entitled to reject the Goods or claim damages for short delivery, howsoever caused. Where it is or would have been apparent on a reasonable inspection that the Goods or the Services provided do not conform with the Contract You must give Teal Turf notice within 3 working days. If You do not give Teal Turf such notice and You are not a Consumer You will be deemed to have accepted the Goods. You are deemed to have accepted the Goods if you have used them or incorporated them in any way.